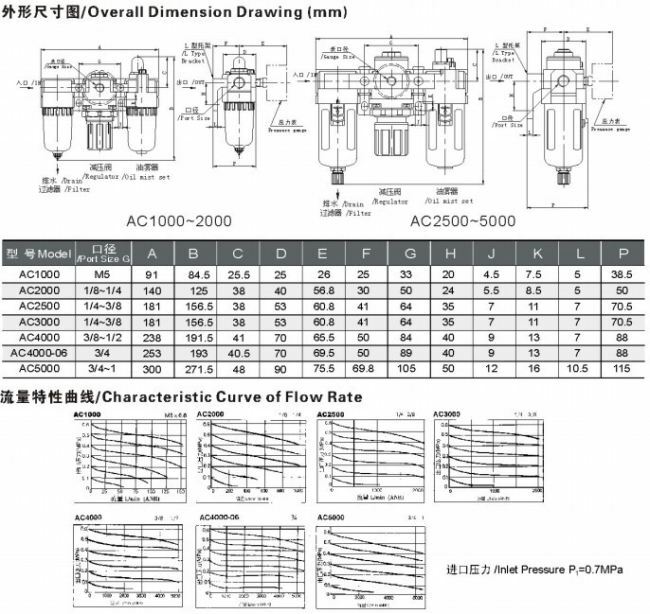 *Under the circumstance that the supply pressure 0.7MPa(7.1kgf/cm²) and set pressure is 0.5MPa(5.1kgf/cm²) Rc.and NPT port size are available. We supply air source treatment unit such as pneumatic air filter,regulator,lubricator and the combination..
We can customized according to customers requirement. We are looking forward to you inquiry and we will give best service.